2018 Jeep Cherokee Review | Specs & Features | Gillette WY " "
As one of America’s best selling compact crossovers, the Jeep Cherokee leads the pack in its off-road capability, expert styling, and unparalleled value. The Cherokee enters 2018 with a re-engineered trim lineup and a host of upgraded standard features on all of its models. All models now boast standard roof rails, 17-inch wheels, and high-intensity-discharge (HID) headlights. The base Latitude model now offers the new Tech Connect package, designed to provide drivers with the latest in technological innovation. By using the patented Amazon Alexa voice-recognition software, the Tech Connect package ensures connectivity both on and off the road. The debut of the new Latitude Plus trim takes connectivity one step further with its standard 8.4-inch Uconnect infotainment system. This package also comes with a 115-volt power outlet and SiriusXM satellite radio. The new redesign of the Latitude Plus features an exclusively-designed leather interior, ambient mood lighting, and an eight-way power-adjustable driver’s seat, providing drivers with the ultimate in comfort while on the road. On the safety front, the Cherokee Trailhawk and Limited trims are now equipped with standard rear parking sensors, a rear cross-traffic alert, and a blind spot monitor. For those customers desiring even more safety features, the Limited, High Altitude, Overland, and Trailhawk L Plus trims all feature the more advanced forward-collision warning and lane-departure warning. The 2018 Jeep Cherokee boasts a V6, 2.4-liter inline-four partnered with a nine-speed automatic transmission, offering up 184 horsepower and 171 lb-ft of torque. To boost power even further, Cherokee also offers a 3.2-liter, V6 engine maxing out at 271 horsepower and 239 lb-ft of torque. Adventure-seekers will appreciate the towing package, which equips the Cherokee to haul up to 4,500 pounds. In other changes for 2018, the Trailhawk now features standard dual-zone automatic climate control. If you are ready for adventure, the 2018 Jeep Cherokee is ready to take you there. 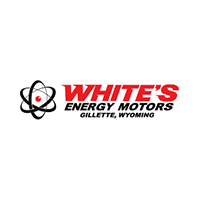 Your first stop should be stopping by White’s Energy Motors to test drive a 2018 Jeep Cherokee so that you can experience first hand the rugged power of this exceptional compact crossover. Our professional sales associates are standing by ready to answer any questions you might have and ensure that you drive off our lot 100 percent confident that you received the best service possible.